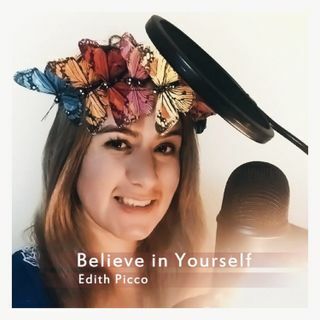 Along in this Podcast you will learn how to believe in yourself.We will have Guests and Interviews with people from different walk of life and sharing experiences and testimonies that can empower other to become better and spread love through experiences and failures. I'd like to start giving you a brief background of myself. I am from Paraguay, South America. I moved to America 5 years ago and like many of you I am pursuing the American Dream which it makes my life more interesting! I have a bachelor degree in business administration and many certification on volunteer programs. My purpose since I was a child has always been serves other people. Is the only main things that fill up my heart. “edit myself to become the best version of myself”. My journey in NYC so far it's been a challenge, but that all change when I had a higher encounter with GOD and having faith in every single circumstances with confidence and determination. What makes me decide and why to do this Podcast, born with The fact to reveal my strongest talents such as positive energy, compassion and motivate others to follow their paths. I am the type of person that if I can help others I will gladly empower each other to Believe in yourselves, becoming our very best version. I truly believe that people need to listen and have more positive people in their life. And I’d like to jump to this question. How you can become the best version of yourself? In others words if you want different results, you must take action in different way.This could apply in many areas of your life,it depends of what are you looking for; such as travel the world, pursuing the career of your dreams, talk to the person that can connect to get your dream job you desire or just work the extra mile to buy the unique dress you saw in the mall last time you went shopping.Now don't tell me you don't want to go through the process of change because of your ego,or because of you don’t have time, those are cheap excuses to prevent you to get where you really desire to arrive,people get cut of on this because of the same old, same friends, same routine. Enough is enough! Decide it to give yourself a chance for the sake of your life! Another way to Edit yourself toward your goal is to Keep the Momentum going and don't let Fears conquer you.Fear is an illusion anyways. In my place a have a Visualization board where I add all the pictures of what I desired in my life. It is a reminder of my purpose and keep me busy working toward to it. Be committed to your goals, activating your willpower,Keep it going is so important, giving yourself credit with a gratitude in how far you have coming and never give up, just because things didn’t work out as you expecting,but don’t let disappointment stop you from achieving your goals. Is never too late to start again and again. Today could be that day!! Take a time and Evaluate your Circle of Influence. Are the people you surround yourself with a reflection of who you aspire to be? Are they passionate? Are they goal-oriented? If not, it might be time to consider upgrading your circle of influence. One of the best ways to do this is to think of the type of person that you want to be. What are some qualities that you aspire to? Seek those types of individuals out and start to connect with them. look up to and admire. But I’m here to tell you that it can be done. Faith is choosing to believe. I am a believer so for me my faith is based on what I can accomplished through God in my life. For others faith is a state of mind which may be induced , or created by affirmation or repeated Instruction to the subconscious mind, through the principle of autosuggestion. Napoleon Hill on his book Think and Grow Rich mentioned that all Thoughts which have been emotionalized (given feelings) and mixed with faith , begin immediately to translate themselves into their equivalent or counterpart. Faith is the basis of all "miracle" , and all mysteries which can not be analyzed by the rule of sciences. Telling the Truth version of yourself no matter what other people thinks about you. Truth is FREEDOM, and the truth will set you free. Choose truth over everything and it will give an authentic sense of who you are. I learned that people may have a different view about yourself because your believes, or how do you look like, that’s something is out of our control, do yourself a favor and be in peace with yourself. What is worst thing can happened to you of being honest? You could get a YES or the worst thing a NO. At least you’d have no regrets in your life. These are some of my favorites bullets to Confront life and keep you on the right track of your purpose. Are your values in alignment with what you do? We are happiest when our lives are in alignment with our core values. Living this way nurtures what is most meaningful to us and allows us to feel more peaceful, grounded, and fulfilled. Anything that conflicts with our values will create more stress and dissonance in our lives. I could say I am the number one, who related to this one. We as human being are always looking for something that can gives as happiness, isn't it? In the past I failed in many jobs that I though it could give me what I am looking for. Until I found my real purpose which is serving other people.I knew it I have this extraordinary skills of listening other people going through many different things or solving problems through analyzing and coming with suggestions and developing awareness and patterns. When you live in harmony with your values, you can become the best version of yourself, because you are doing it for a reason , no just for the mere purpose to gain money, just to give an example. For each of the areas that feel off track, I encourage you to set goals or embrace new habits that will be more congruent with your values. This will support you in living your life the way it is meant to be, true to your nature and honoring what matters most to you. It can also help you become more effective and successful in the world and make and impact in the life of others. "You have to dream before your dreams can come true." -- A. P. J. Abdul Kalam. You have to start dreaming before you can achieve anything. In the midst of my transition from work to work and especially lately I put my mind of how I see it my life as I want it to be and feel it, there before even in your hardest season you have to visualize success. Is very important tool toward your 100% yourself.Yet, many of us don’t believe in this. We focus on what’s wrong and what’s bad and we ultimately steer towards that. We don’t think that we can achieve anything that we conceive or believe in. In fact, it’s quite the opposite. Our negative thinking turns into dark, fear-based thoughts filled with forbidding what-if scenarios. It’s easy to allow negative thinking to consume and frighten you into a state of inaction. Choose good though always. "The only thing worse than starting something and failing... is not starting something." -- Seth Godin. It's just important that you keep shooting until you make it right. But most importantly - you learn from it. I would even go as far as saying that you can learn more from failure than success. Would love to hear from you, leave your comments and suggestuons to grow together. I am grateful to have you as well!